Shipment within 30-40 days after confirmation of order (received 30% deposit). Located in Mazhu Town, Yuyao City of Zhejiang Province, Yuyao Jingyi Plastic Industry Co., Ltd.（Jingyi Plastic）abuts on the metropolis of Shanghai and Jiangsu Province with admirable advantages in both transportation and telecommunication. Since establishment in 1999, Jingyi Plastic has developed into a notable business with more than 700 employees, including over 60 professional technicians. 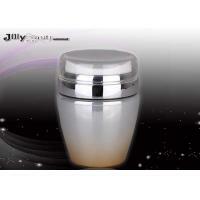 We are dedicated to the design, development, and production of cosmetic packaging. 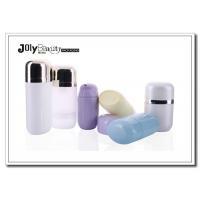 Among our flagship products are premium airless bottles, lotion bottles, and cosmetic jars. We take great pride in our long list of customers from China and beyond. We will consistently innovate and launch new products with the introduction of more state-of-the-art automation equipment. For years, we have been capable of delivering on big orders beyond expectation and also adaptable enough to satisfy our customers who place even a small or medium-sized order. “Utmost attention to detail and pursuit of artistic beauty” is the philosophy of business Jingyi Plastic has practiced ever since its inception. We are firmly convinced that you are not only our customer, but also our partner.